This Golden Eye Elite model has a spear point blade and a carbon fiber Handle. 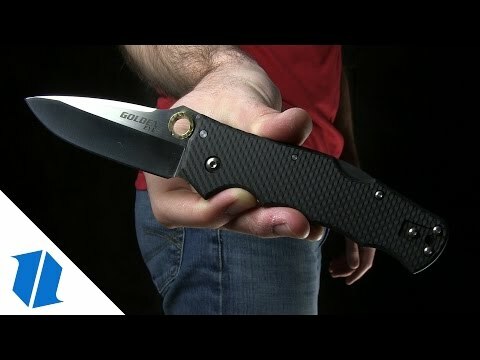 The Cold Steel Golden Eye offers a high performance EDC folder with a sophisticated design from custom knife-maker Andrew Demko. 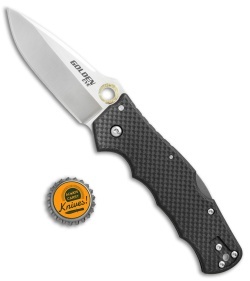 It has a hand-honed razor sharp blade made from S35VN steel with a plain edge. 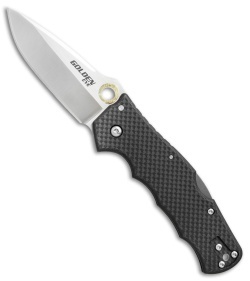 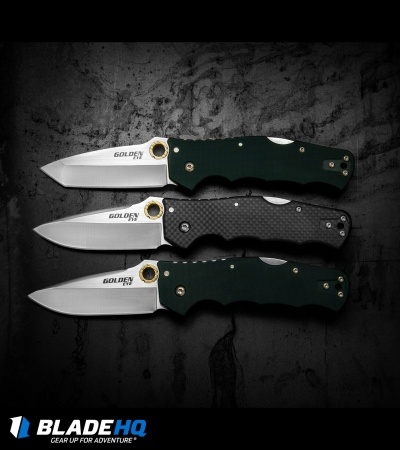 The handle is constructed from beautiful carbon fiber scales and Cold Steel's reliable Tri-Ad locking system. Brass details on the pocket clip and thumb hole opener further add to the aesthetic appeal of this knife. 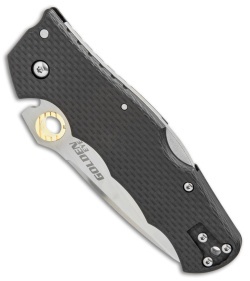 This model is fully ambidextrous with a reversible pocket clip and a thumb hole opener. 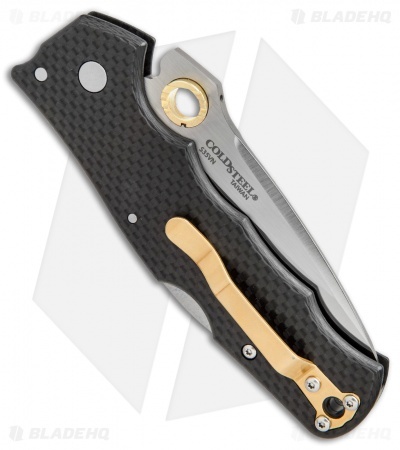 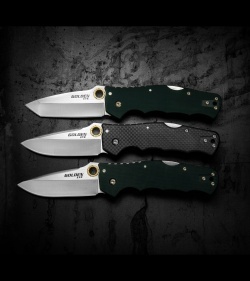 Get high performance craftsmanship and collectible style with the Cold Steel Golden Eye.